When I was 13 years old, I was handed a book: Developing the Leader Within You by John C. Maxwell. It changed my life trajectory. From that moment on, I dedicated myself to reading at least two books or academic journals on leadership per month for the rest of my life. While my “leadership library” has grown to nearly 600 works, I often turn back to the simple but transcendent lessons in leadership from other areas of my life – primarily, music. 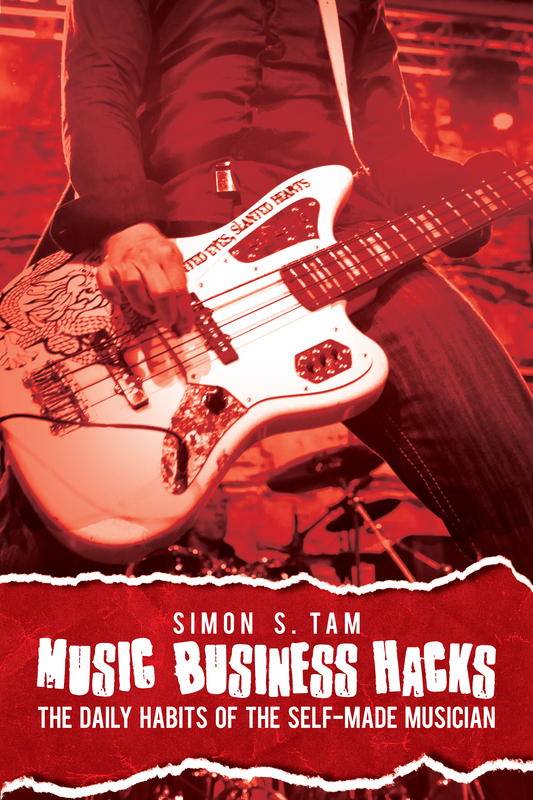 I recently published an article called 9 Business Lessons You Should Learn From Musicians. While that piece focused on broad ideas for business owners, this article focuses on lessons that leaders can learn from some of the world’s biggest influencers: musicians. Leadership begins with a vision, dream, or goal. In 2010, Lady Gaga tweeted a photo of herself standing in front of the marquee at Madison Square Garden. Later that night, she explained how she would dream that one day her name would be in lights at the venue. She visualized the experience and used it to fuel her passion, guide her career decisions, and shared her dream with her core team so that she could be held accountable to it. Leaders should not only be empowered by the vision, but share it to empowers around them as well. The leadership proverb by John Maxwell puts it best: “He that thinketh he leadeth and hath no one following him is only taking a walk.” Leaders can learn from musicians in building that support network by adding value to others, deeply caring about their followers, and recognizing that big dreams require a team. Leaders should learn “informed improvisation.” John Coltrane, arguably the most influential saxophonist of all time, dazzled fans with his tenor-saxophone improvisation in “Giant Steps.” While the definition of improvisation implies that something is created without preparation, that’s only a half truth: Coltrane, and artists who excel at improvisation, are only able to do so because of the extraordinary lengths they’ve taken to learn and hone their craft. Musicians can often anticipate notes and sounds, which allows them to take informed risks in the moment. There is a lot of talk about leaders needing to take risks and big steps. While that is certainly true, leaders also need to be prepared to make their own “giant steps.” Leaders should study market conditions and forecasting to make better informed decisions. Leaders make others look good. Often, influential music icons can help launch the career of other artists. Producers, session musicians, and collaborators can certainly use their work with known names to help propel their own careers, but musical leaders do much more than that: they help others become better at their craft. Shortly after his death, footage of Michael Jackson’s rehearsals was released showing his vast attention to detail for the show, to make sure that everyone on stage looked and sounded perfect. He cared about how the entire ensemble looked, not just himself. Leaders should be adept at providing support to make others on their team shine. They listen to their team, take feedback and use that to make the team better. Leaders understand self-discipline. There’s a stereotype that glamorizes the life of touring artists that persists. However, that kind of lifestyle isn’t sustainable for personal health or delivering the best performance possible. In my band, we have a signed internal agreement about keeping sober on stage, maintaining our own skills and equipment, and having a schedule that allows for rest and recovery. And we need it to: a typical tour day consists of 4-6 hours of driving, 1-2 hours of interviews with the media, an afternoon sound check, and performance that lasts until 2am, day-after-day, for several weeks straight. If we consistently indulged in parties or slacked off, shows would fall apart. A leader should have high expectations for their team and themselves. Just like musicians, they should maintain their skills, develop time for rest, and make decisions for a sustainable career. Last year, a study confirmed that trees never stop growing. Year after year, they continue to add new rings. In fact, older trees keep growing at a faster rate. The day that a tree stops growing is the day that it dies. For those of us in the music industry, there are always opportunities to learn, collaborate, and grow. Leaders have similar opportunities for development. Leaders are learners. But whether a tree, a musician, or a leader, there’s one universal axiom: never stop growing. These are some awesome tips here. I do think to become a great musician, you do have to be a great leader. Thanks for sharing your insight on this!